Greek-German outfit Interunity Management has picked up the 2009-built handysize bulker, Antaeus , and has since renamed it Pioneer Spirit. The ship previously belonged to Greek outfit Pyrsos Shipping. Brokers reported sale at $8.9m and it is the most expensive bulker added to the emerging handysize specialist fleet list. The ship was added from a judicial sale in South Africa, brokers note. 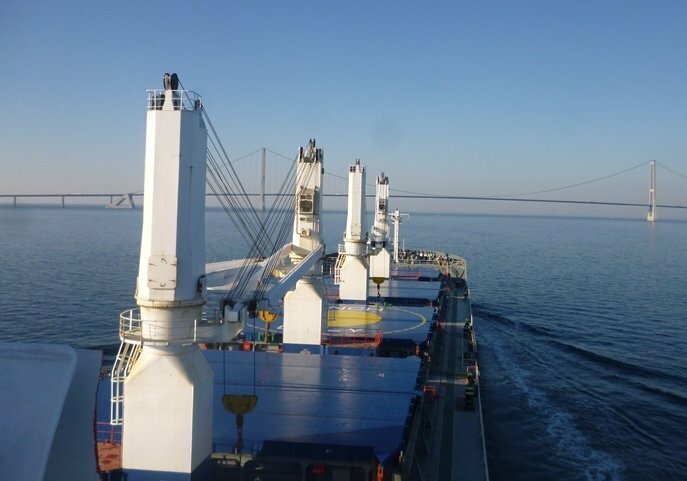 In October Interunity bought another similar sized bulker, also at auction this time in Hong Kong after China’s Beihai Maritime Court ordered its detention. The ship has since been renamed Pioneer Skipper. The acquisition grows the Interunity bulker fleet to five vessels. In October Splash reported it added three 2011-built handysizes. These ships have been renamed Athos, Porthos, Aramis. In addition to the five bulkers it has added over the last six months, Interunity Management also has a handful of smaller chemical tankers and two LPG carriers and a small container ship.